Dentalex Ltd work in partnership with Midmark Newmed as their UK agents. We support the UK distribution network with sales and engineering technical expertise for sterilization equipment. We are ISO9001 accredited for “the supply, installation, maintenance, repair, servicing, testing and validation of new and used medical equipment sourced in the EU, the accessories and associated spares. The training of dealer engineers in the installation, maintenance, repair and servicing of sterilization systems and their accessories”. 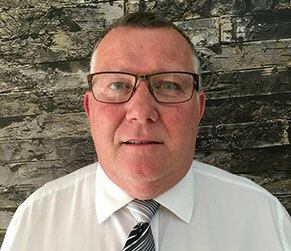 Dennis is responsible for supporting the infrastructure and development of our UK dealer network. 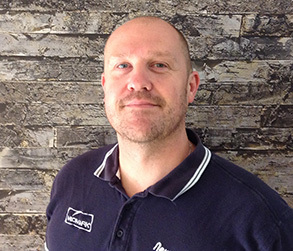 Ensuring compliance to our industry standards with ISO9001 quality assurance. 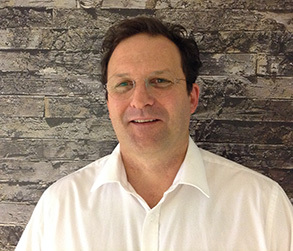 Glenn is responsible for supporting the infrastructure and development of our UK dealer network through the provision of technical training and support to our trained engineers. 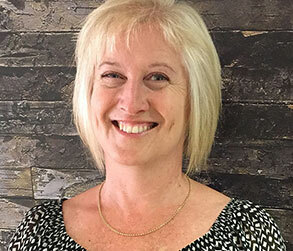 Maria ensures the efficient running of the Dentalex office, organising meetings, dealing with enquires and generally making sure everything is running smoothly. 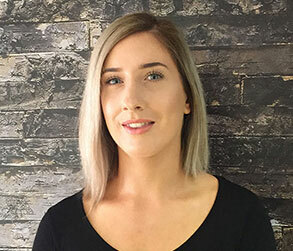 Megan manages and processes information updates on our Management Information Systems, she is also the key account manager for our Government contracts. 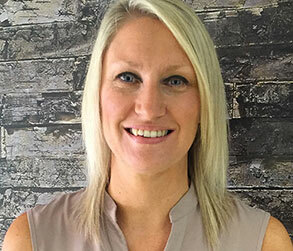 Rachel is first point of contact for our dealer network in terms of information support and her key role is coordinating the training of technical engineers and associated administration. Responsible for pre-delivery inspection and testing of all equipment prior to dispatch to our dealer network, offering technical support to our trained Engineers. Our services cover the core industries of Dental, Medical, Veterinary and Podiatory / Chiropody. 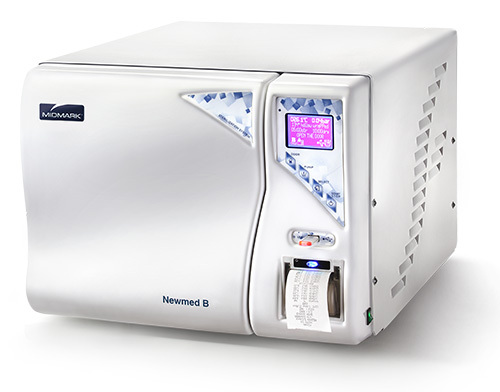 Designed and manufactured in Italy the Midmark Newmed autoclaves are built to the highest standard delivering quality, efficiency and reliability. One of the unique features of the range is that all models incorporate a steam generator, injecting steam directly into the chamber. 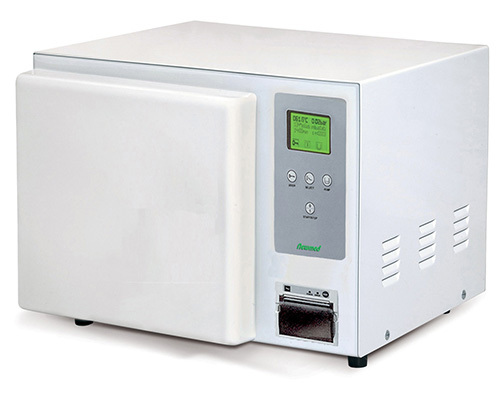 This enables the autoclave to operate with some of the fastest cycle times on the market whilst using less power. 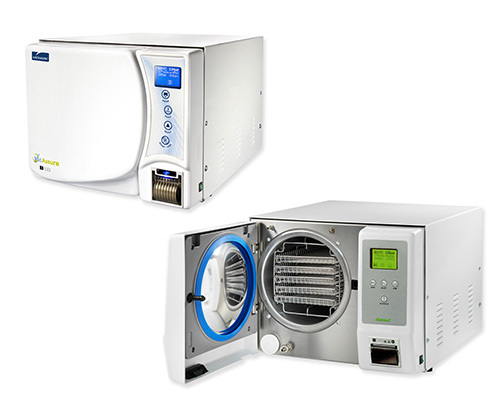 In addition our B Class autoclaves incorporate our patented QuikSteam™ technology further reducing B Class cycle times by approximately 20%. All sterilization equipment is registered on the NHS Framework Agreement. Rapid, pre-programmed sterilization cycles ensure streamlined workflow of surgical instruments. 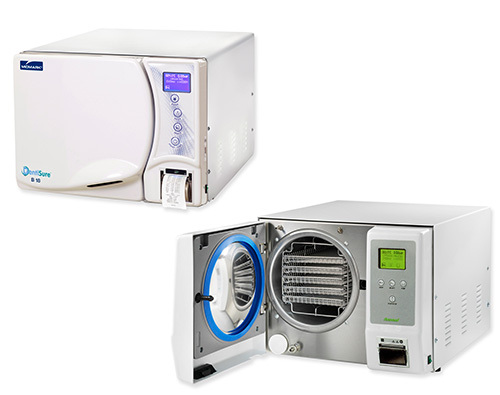 We manufacture a range of autoclaves with chamber sizes from 6 to 60 litre capacity available in N, S and B Class to suit your practice requirements.